The Droid 2 Global will ship in both blue and white, just like we suspected it would last week when we saw two different SKUs pop up for the device that still has not been announced by Verizon. And actually, the specific color names are “Dark Sapphire” and “Winter White” which should both look familiar. 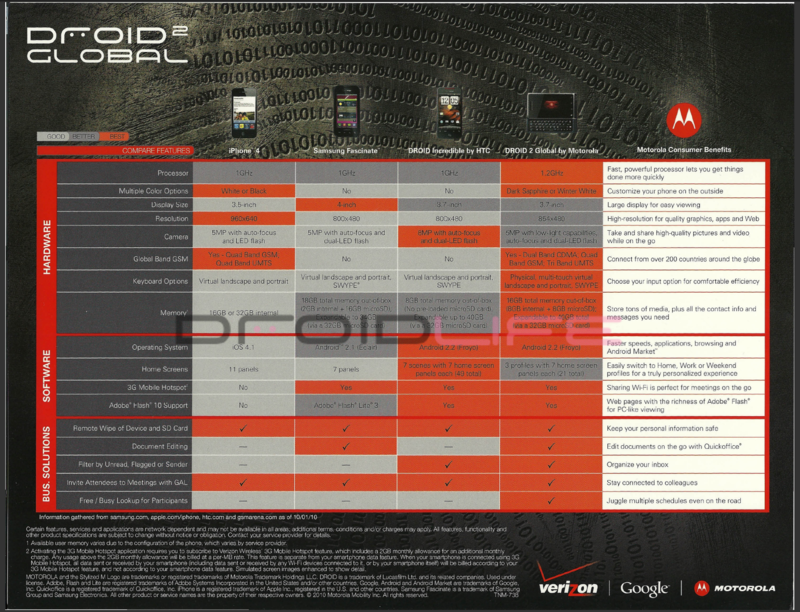 The original Droid 2 already comes in “Dark Sapphire” and we’ve seen “Winter White” on devices like the Motorola CLIQ. Remember that the D2 Global is a global-roaming-business-friendly machine meaning Motorola has packed in some additional features we haven’t seen on other “DROID” branded phones other than the Droid Pro. To see the first pictures of the D2 Global in “Winter White”, check out our gallery. I know the rest of the world said black, but it looks like blue after all. Disappointed? Black would have been nice right?